Dimensioni di questa anteprima: 477 × 599 pixel. Altre risoluzioni: 191 × 240 pixel | 382 × 480 pixel | 477 × 600 pixel | 611 × 768 pixel | 815 × 1 024 pixel | 2 173 × 2 731 pixel. 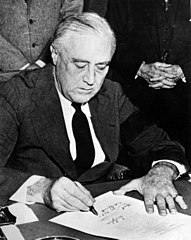 English: United States President Franklin D. Roosevelt signing the declaration of war against Japan, in the wake of the attack on Pearl Harbor. 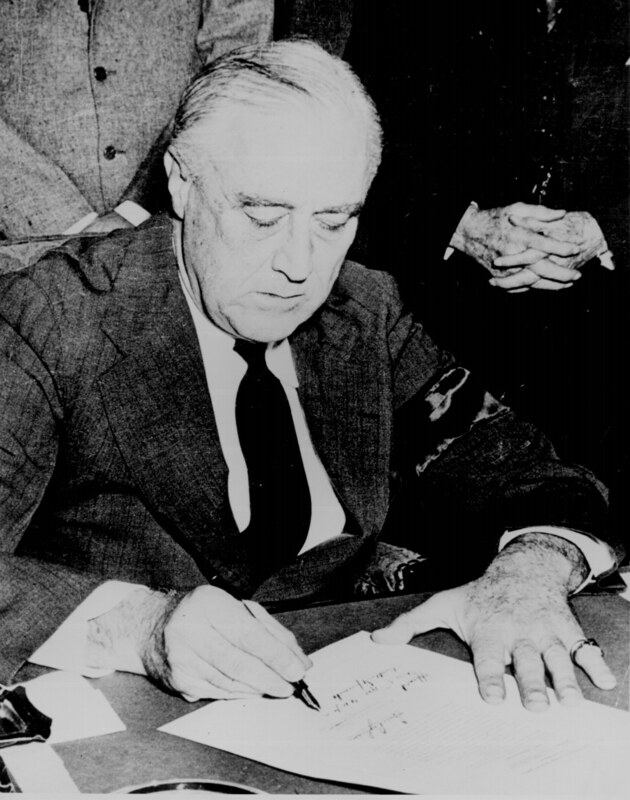 Very similar image showing Roosevelt signing the declaration of war against Germany, three days later.